How to login and use the Zopim Live Chat System? 1. Login to your Zopim account at https://dashboard.zopim.com/, login with the account you used to register earlier or the account we have provided to you earlier. 2. 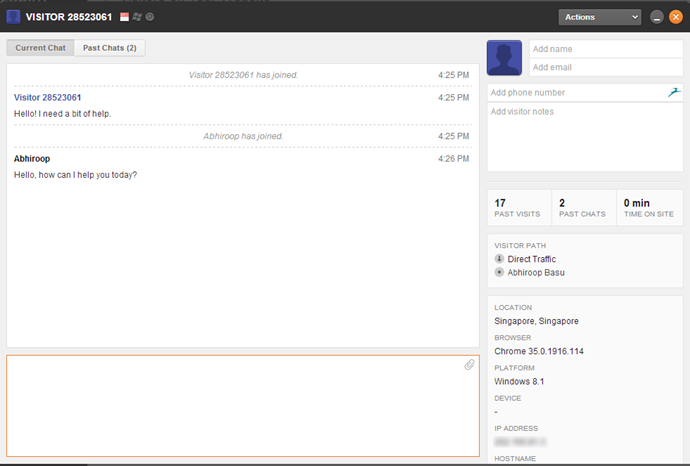 When you have logged in, the Live Chat widget on your website will turn from “Leave a Message” to “Chat with us”. 3. 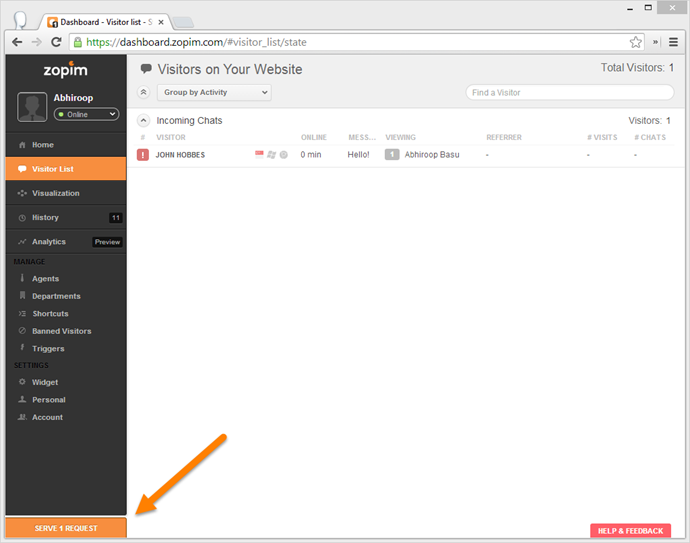 If you receive any live chat request, you will see it on the bottom left corner in your dashboard, click on it to bring up the chat. 4. 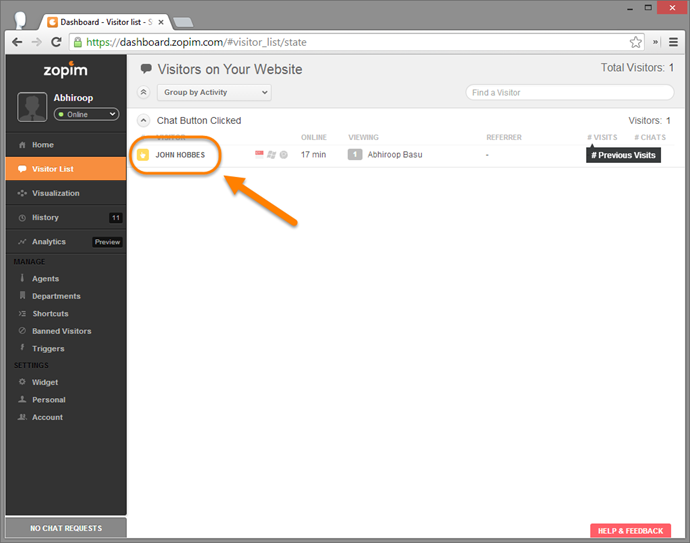 You can also chat with the visitor on your site that didn’t click on the Live Chat widget by navigate to the "Visitor List" and select the name of any visitor. 5. If you have any questions on how to use Zopim Live Chat, you can refer to Zopim Knowledgebase athttps://zopim.zendesk.com.